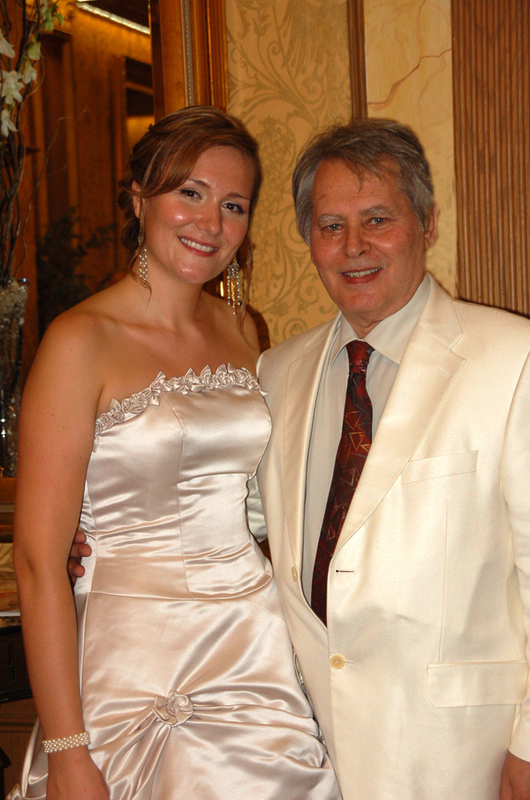 Livia, a long time employee and the famous violin-playing partner of Mr. Goudas tied the knot with beau, Sergio on August 2, 2009. Livia is absolutely glowing and a radiant bride. This article can also be found in " Mr. Goudas's biography ". At this point of the book, I believe the reader feels as though they know Mr. Goudas well. For me though, the experience of the completion of this book, was also an opportunity to truly get to know my boss, a person who I thought I knew well, but in fact I didn't know at all. This daily routine went on for years. Only when Mr. Goudas began the writing of his biography and needed my help for the editing, Did I actually have the chance to get to know the real person behind the brand Goudas Foods. During this period, I learned that some of his experiences were so important that they have truly carved the direction of his life. Others have determined various important characteristics of his personality. I would like to add something, that maybe has been mentioned previously in the book, but has not been emphasized enough: Mr. Goudas heart. I have never met a person with such a big heart and generous soul in my life.